The United Kingdom flag waving in the wind. The Union Jack flaps in the breeze, filling the whole frame. hd00:13United Kingdom Looping flag motion design. 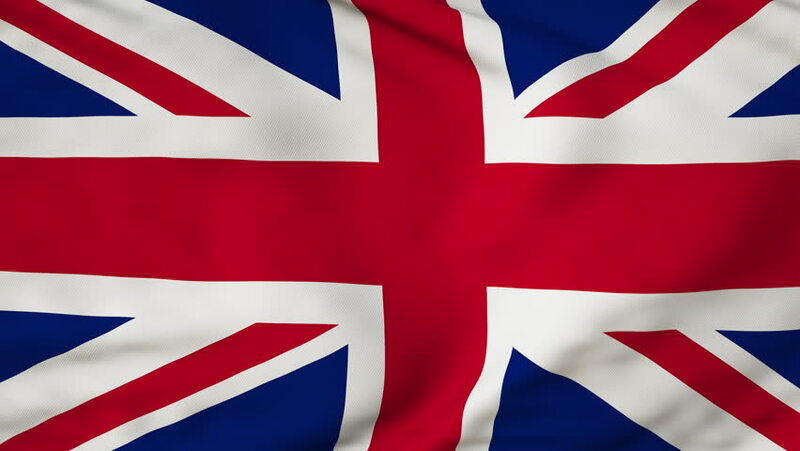 4k00:31United Kingdom flag is waving 3D animation. Symbol of UK on fabric cloth 3D rendering in full perspective. hd00:12United Kingdom flag rendering and animation.